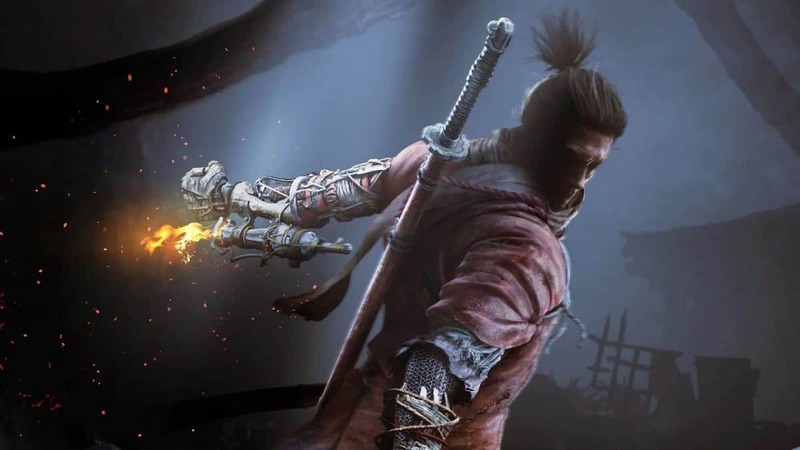 Shinobi Prosthetic Arm serves as your Secondary Weapon in Sekiro Shadows Die Twice. It is acquired automatically during the course of the story. 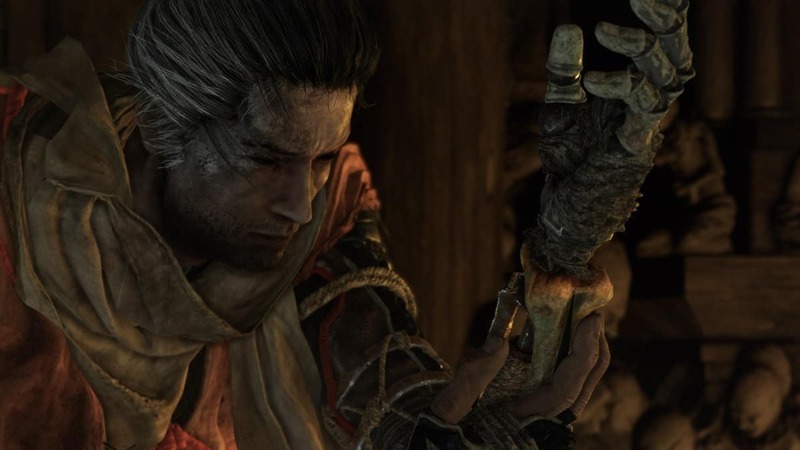 Your Sekiro Prosthetic Arm serves plenty of functions with the help of Prosthetic Tools such as Grappling Hook, Flaming Vent, and more. These Prosthetic Arm Tools can be found scattered all around the game world. 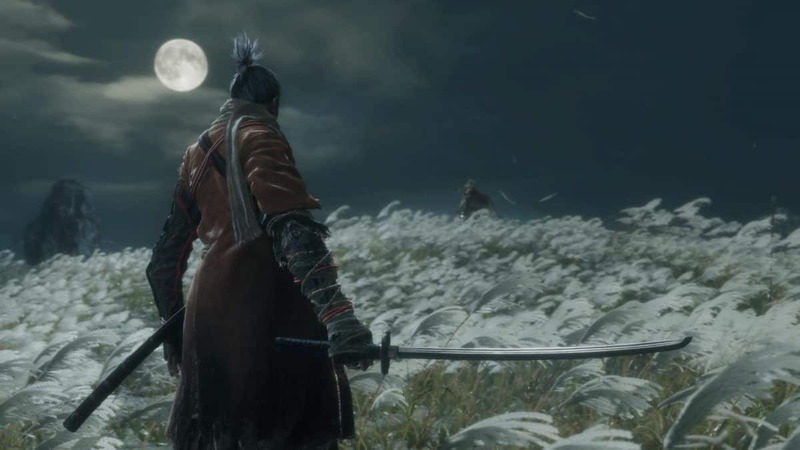 Finding and upgrading all these Sekiro Prosthetic Tools will unlock the Master of the Prosthetic Trophy/Achievement. You have three slots for Prosthetic Tools at one time. You can use the ones that suit your playstyle. To use Prosthetic Tools, you need Spirit Emblems that can be acquired by defeating enemies. In addition to this, you can also increase the number of Spirit Emblems you can carry using a skill. Do note that you cannot use a Shinobi Prosthetic Tool right away after finding it. 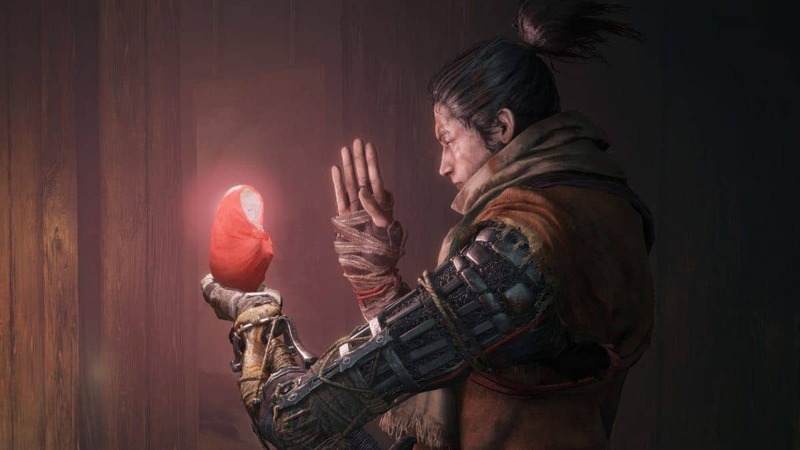 You will have to get it fitted into your Sekiro Prosthetic Arm first. In order to fit a Prosthetic Tool into your Prosthetic Arm, you need to return to the Sculptor at the Dilapidated Temple. In addition to this, you can also upgrade your fitted Prosthetic Tools using various Upgrade Materials such as Black Gunpowder, etc. 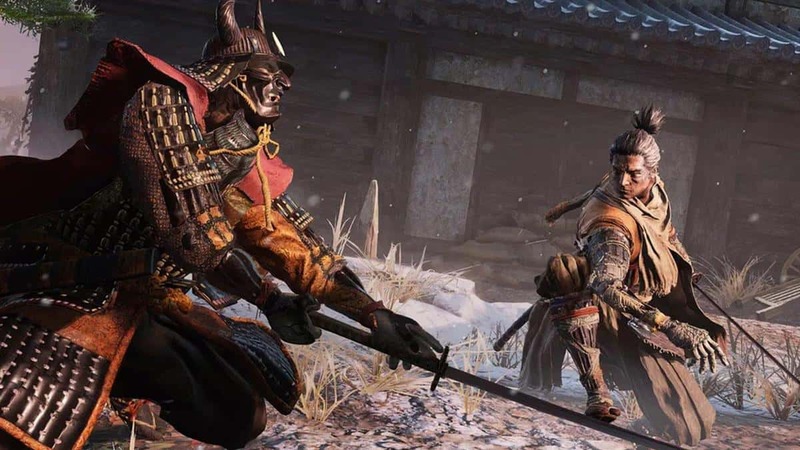 Following are the locations of all Prosthetic Tools that you can find in Sekiro Shadows Die Twice. The Grappling Hook is one of the most important elements of Prosthetic Tools and is a holy grail in your battles. The Grappling Hook is unlocked at the very start of the game. Grappling Hook will help you in combat by hiding you from the enemies behind the walls. The points that are marked as triangles will help you swing by that point. The circles will appear on the points where you can use the Grappling Hook. The Grappling Hook will help you to climb walls and buildings with ease. When in a battle, you can use it to drag the enemy closer to you or to drag himself closer to the enemies. Visit the Outskirts Wall: Gate Path Idol and beside it, there will be a building with a hole in it. Enter the hole and you will find a corpse and beside the corpse, you will find the Shuriken Wheel. You would have to use the Sculptor Idol to convert the Wheel into Loaded Shuriken. The Shuriken can be thrown one after the other to give the enemy more damage. It can be used on enemies that are far away from you. Creates more damage than the normal Shuriken due to the rotational movement of the throw. An enhanced Shuriken with sharp blades and damages an enemy’s Vitality and Posture even when guarded. Unlock the Hirata Estate by interacting with the Old Woman who will give you a bell. The Bell for the Sculptor. On the right side of the Hirata Estate, Path Idol, walk around until to find a group of enemies near a campfire. Go near the campfire and you will acquire the Flame Barrel that will be converted to a Flame Vent by the Sculptor. Sometimes, there will be enemies tougher to be controlled alone by using your weapon. Flame Vent deals with fire and burns the enemy. It also flames up your weapon. The range of the tool is short hence; you need to be closer to the enemy to land your attack. An upgraded version of the Flame Vent sets out as an explosion and inflicts high damage on the enemy. After defeating your first mini-boss, take the left path where you will found a mountain. Climb the mountain with the Grapple Hook and you will find a merchant selling you Robert’s Firecracker for 500 Sen.
You can use the Sculptor Idol to convert the money to Shinobi Firecracker. Sends out an explosive flash that blinds the enemies and does damage to multiple enemies. It has a wide area effect and effects the posture of your tougher enemies. The tempo effect is enough for you to land attacks on your enemies before they recover. The upgraded firecracker deals with more damage to your enemies. The effects of the firecracker are extended and the flashes are for a longer period of time. The Loaded Spear has a longer-range attack then your katana and it drags the enemy towards you after it struck them. Before the enemy can plan his next move because of the sudden motion, you can hit them with an attack or two. This allows you to deal long-ranged thrust attacks that can also drag smaller enemies towards you. Take stairs from the campfire where you found the Flame Barrel and interact with the dying man. He will locate you towards the Shinobi Axe. Take a left and you will find two guards protecting a Garden House. Kill them and go inside the Garden House and you will find the Shinobi Axe. Use the Sculptor to convert it into Loaded Axe. Attacks on your enemies with a Hidden Axe and breaks their wooden shield apart also forcing some effect on your enemy. Deals with the posture of your enemy as well. Useful for catching your enemy off guard. This lets you out a large explosion that deals damage to beast-type enemies. The Loaded Umbrella is made up of steel and attacks your enemy. The Loaded Umbrella can also deflect enemy attacks hence affecting the posture of your enemy. After defeating the mini-boss Enshin and finding Bamboo Thicker Slope Idol, take the stairs that are a little ahead and climb the tree by using your Grappling Hook. You will find a river in which you have to swim to the end. You will find another tree to grapple and a door to a cave. Destroy the door and enter inside the cave and defeat the ninjas or just enter inside the temple where you will find the Mist Raven Feathers that will be upgraded by the Sculptor and are converted to the Mist Raven Tool. Once you get to the Ashina Castle, head over to Upper Tower: Antechamber Idol and head inside the room with a Blue Samurai and an Old Woman. Jump down into the hole and open up the Main Castle gate. 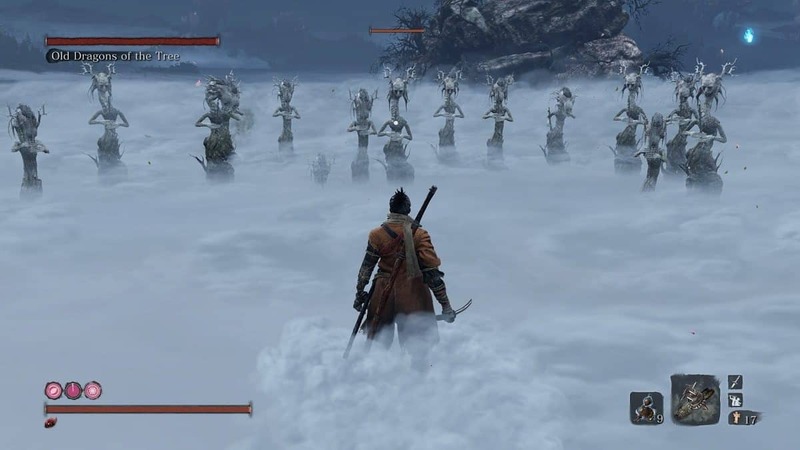 This area should lead you towards the Ashina Castle Idol. A little ahead, you will be able to find the Sabimaru Prosthetic Tool, x2 Eel Liver, and x1 Gokan’s Sugar. This Prosthetic Tool should allow you to perform a flurry of attacks with both your sword and the Sabimaru Prosthetic Tool. In addition to this, it also inflicts poison on the targets. In order to find the Divine Abduction Prosthetic Tool, you need to head over to the Gun Fort Idol in the Sunken Valley. Once there, you should be able to find it in plain sight. Divine Abduction basically allows you to release a gust of wind that makes them face the opposite direction. Moreover, apart from a few strong enemies, it will leave them vulnerable for a Deathblow. The Prosthetic Tools are already very helpful but the tools can be upgraded for a wide area use and more effect. For upgrading the Prosthetic Tools, you first have to obtain the Mechanical Barrel item. The item will be dropped after you defeat your first main boss. The boss is fairly difficult to defeat, hence, before defeating him you should be practiced enough to handle him. The boss is one of the tougher enemies for whom you need the upgrades in Prosthetic Tools and as you will not have them yet, you have to be skilled in using the items that you already possess like your Katana or the Grappling Hook. 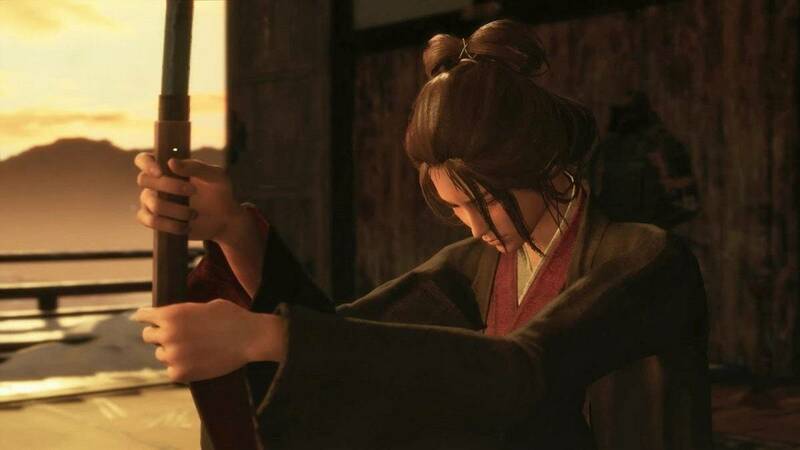 The Grapple Hook can be used to drag your enemy towards you and before he recovers, you can land him your attacks by using your katana. Deflect him and try to work on increasing his Posture Meter then you can finish him off with the Deathblow. After you acquire the Mechanical Barrel item, go to the Dilapidated Temple and interact with the Sculptor. You will require the in-game currency and the items that you will be asked for. Fulfill the conditions and you will successfully unlock the upgrades for the Prosthetic Tools. This is so far all we have in our Sekiro Prosthetic Tools Locations and Shinobi Prosthetic Arm Guide. If there is anything else that you would like to add, be sure to let us know!